This the second part of proving the doctrine of Conditional Security, from the Bible. If you want to read Part 1, then GO HERE. Last time, I gave plenty of Scripture showing how someone can TRULY know that they are a Christian. God wants us to have assurance of salvation. He doesn’t want us to be insecure about our salvation. I also posted a video where I talk about a number of passages from the Bible, that emphatically prove the doctrine of Conditional Security. This time, I want to go through some examples in Scripture where people actually departed from the faith. They either stopped following Jesus while He was still alive or they departed from the faith after Jesus rose from the grave. Either way, these are examples of people “losing their salvation” and therefore are Biblical proof that the doctrine of Conditional Security is true. Many DISCIPLES turned back from Him. Keep in mind that in Scripture, “disciple” is synonymous with believer or follower of Christ. One can’t be a “disciple” without being a follower and vice versa. Yet, after a difficult saying from Jesus, these “disciples” ” went back and walked with Him no more.” So, these “disciples” used to “walk with” Jesus and they decided to “go back” or “backslide.” People can twist it any way they like, but the Scripture says what it says. Below is a new video, where I teach on the Biblical Doctrine of Conditional Security. This is actually the fourth teaching of five, on this topic. The previous three were devoted to properly interpreting the “proof texts” that people use to “prove” Unconditional Eternal Security, also known as Once Saved, Always Saved (OSAS) or Perseverance of the Saints (POTS). The doctrine of Unconditional Eternal Security is possibly one of the greatest heresies in all of the history of mankind. 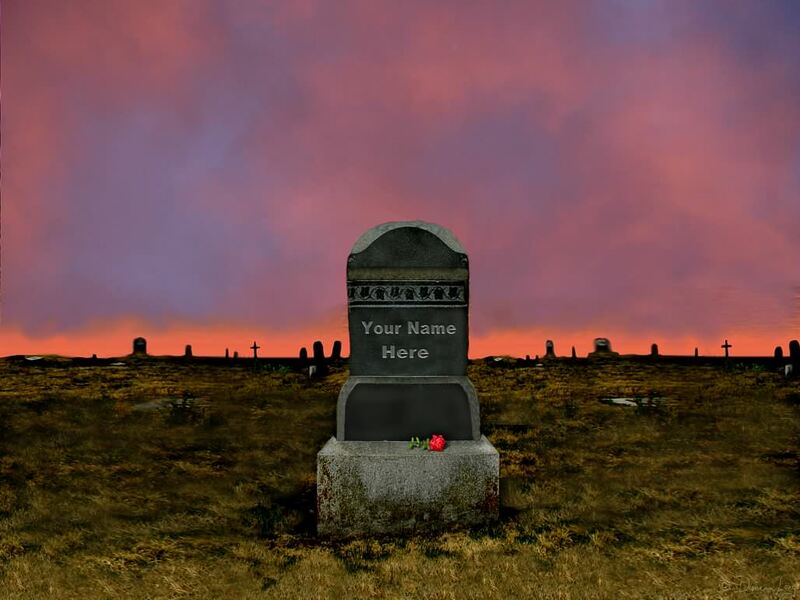 It started in the Garden of Eden, when Satan said, “You will not surely die.” It continues to this day and I consider it to be a doctrine of demons, per 1 Timothy 4:1-2. It gives people false security and false assurance. This post is in the same theme as my last “10 Things” post (SEE HERE FOR ON THAT POST), except that this one is the EXACT OPPOSITE of the last one. Sometimes Calvinists remind me of Mormons. Now, I know that sounds insulting, but please let me explain. Mormons, often times, try to “hide” some of their more “hard to believe” doctrines from new converts or people they are trying to convert. They won’t talk about polygamy, the blood atonement doctrine, that Joseph Smith said that the “rest of Christianity” was apostate, that you could have your own planet someday, that God used to be a human being or that Jesus and Satan are brothers. I see the same thing happening with Calvinists, a lot of the time. They rarely ever mention their “hard to believe” doctrines while witnessing to the lost, while preaching in the open air or in their prayers. They rarely ever talk about Unconditional Election or Unconditional Reprobation, on the streets. They rarely ever talk about Limited/Definite Atonement, while they are witnessing to someone. They rarely ever mention Irresistible Grace, while they pray. Why is that? Are they ashamed of such doctrines? Do they not think that such doctrines are important? Do they really believe in them? In light of these experiences of mine, I have made a list of 10 things that consistent Calvinists SHOULD say, but usually don’t say. As with the last list, this list doesn’t include all Calvinists. 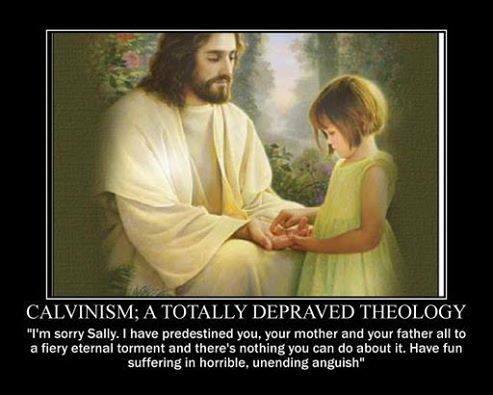 There may be some Calvinists who would and do say these things. I couldn’t possibly include all Calvinists, since I don’t know all Calvinists and haven’t had an experience with all Calvinists. 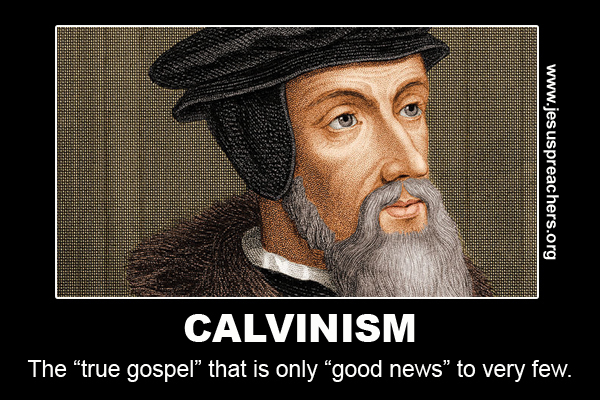 I am simply going by my extended experience with Calvinists, over the last 8 years or so. Both of these “answers” to the question of, why people die are wrong. Both are insufficient answers to the question. If everyone dies because of their own personal sin (whether they actually committed it or they “committed it” in Adam), then we have a GREAT PROBLEM. This one problem should be enough to utterly demolish such unbiblical thinking. Are you ready? 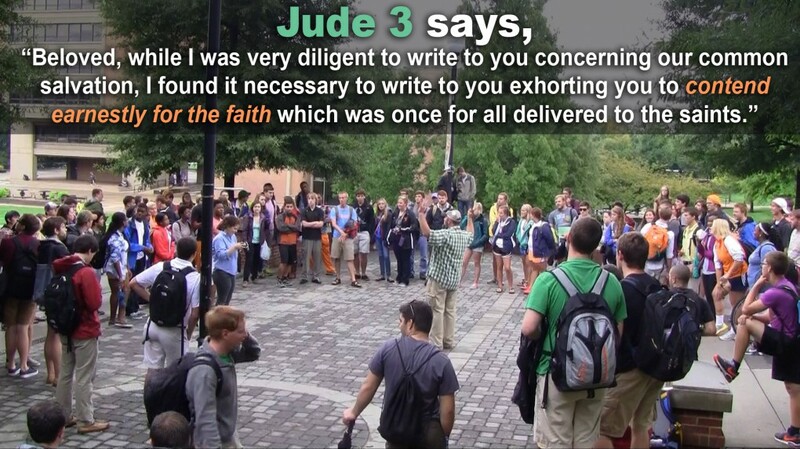 1) “Jesus died for you” – They believe in the doctrine of “Limited/Definite Atonement” (the “L” of T.U.L.I.P.). This means that they believe that Jesus ONLY died for the “elect” – those that God chose for salvation, before He even began to create the Universe. Calvinists will also say that they don’t know who the elect are. If they don’t know who the elect are and Jesus only died for the elect, then they couldn’t possibly say this to ANYONE. 2) “God loves you” – Calvinists constantly cite Romans 9:13, in the hopes of proving “Unconditional Election” (the “U” of T.U.L.I.P.) – as I said above, this is the idea that God chose very few people for salvation and that He did this before He even began to create the Universe. Of course they twist this verse and commit eisegesis, since they are looking at Romans 9 through their “Calvinist eye glasses”. Yet, if the “U” of T.U.L.I.P. is correct and their interpretation of Romans 9:13 is correct, then there’s no possible way that they could say this to ANYONE. 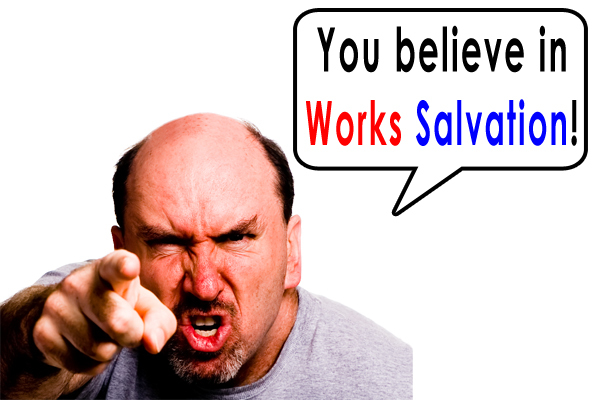 1) “Works salvation” is saying that you have any part in your salvation at all. In other words, if you believe in free will, then you believe in “works salvation”. If you believe that YOU did the repenting and YOU did the trusting in Jesus Christ, then that is “works salvation”. If you believe in “synergism”, then you believe in “works salvation”. This is the position of the Monergist or the Calvinist (at least, most of the ones that I have talked to). They’ll often quote John 6, Romans 9 & Ephesians 1, giving their Calvinistic interpretation of them. 2) “Works salvation” is saying that you must repent of your sins, in order to be saved. All you need to do to be saved, is “believe in Jesus” (they’ll quote Romans 10:14-15 for you). Saying that you must turn from your sins to be saved, is “works salvation”, even though they believe that you must turn from at least one sin (unbelief), in order to be saved. This is the position of antinomian or typically the King James Only Fundamental Independent Baptist (I have absolutely nothing against the KJV Bible). 3) “Works salvation” is saying that you are responsible for “maintaining your salvation” or “staying saved”. In other words, if you say that you can “lose your salvation”, “depart from the faith”, “be cut off”, etc., then you believe in “works salvation”. If you believe that you must live a holy life to be a true Christian, then you believe in “works salvation”. This is the position of anyone who believes in any form of unconditional eternal security, once saved always saved or perseverance of the saints. Some Calvinists may say that you “need to live holy” to be a Christian, but that is just double talk, since they say that we “all sin everyday, in though, word and deed”. 4) “Works salvation” is saying that committing sin can cause you to “lose your salvation”. Only “completely rejecting Jesus” can cause you to “lose your salvation”, but “sin” can’t. This is the position of SOME people who call themselves Arminians (NOT all of them).